Handicap parking is not a perk for having a chronic disease, such as arthritis. It is a necessity if you live with pain and disability. A permit or placard entitles you to park your vehicle in designated parking spots close to a building or venue. This can make a big impact on your comfort as you travel throughout your day. It's relatively easy to apply for a handicap parking permit. Each state in the U.S. has its own regulations and requirements, and the registration is typically handled by the Department of Motor Vehicles (or the state's equivalent). How do you know when it's time for you to apply? 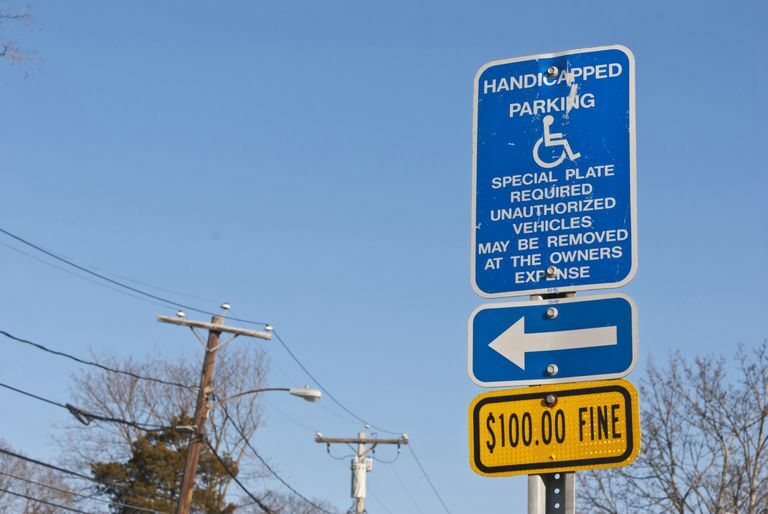 What are some of the challenges posed by handicap parking? Who can you contact in your state and what's the first step? We'll answer all of these questions in hopes of making the process just a little easier for you. It is not uncommon for people with a disability or health condition to wait longer than they should before applying for a handicap parking permit for their car. There are a few common reasons for this. Many people may not realize that they are eligible for a permit. Others may deny that their condition is debilitating to an extent that requires closer parking. Too often, it takes a family member or close friend to suggest the idea because they see that it may be a great help or they may notice your struggles. A number of people underestimate the benefit of being able to park a little closer to the door. You may not realize just how much energy it can save, either. It allows you to run errands, shop, go to doctor appointments, travel, and participate in other activities without wearing yourself out. If you have to walk halfway across the parking lot, you're already expending a lot of energy before you arrive at your destination. Even if it's just a few extra feet closer to the door, this can make a significant impact on your pain and strength to finish your errands. The abuse of handicap parking permits may also be a disincentive for some people. Too often, people who are not entitled to park in handicap parking spots use them anyway. With limited spots available, that makes it seem futile, but it's not. Handicap parking permits belong in the right hands. People with invisible disabilities (those that do not show outwardly) may fear being mistaken for an abuser of handicap parking privileges. You might feel that it is not worth being glared at or harassed. However, you are fully entitled to have a handicap parking permit if your doctor approves it. If you have a disabling condition that makes you eligible for a handicap parking permit, talk to your doctor. Don't wait for them to bring it up to you. Your doctor is very busy and it is unlikely that this is on his mind. If you are eligible, your doctor will not hesitate to sign the paperwork for you to get a handicap parking placard. Do you know what you need to do to obtain a handicap parking permit? There are subtle differences between the states regarding what is required. Some states charge a processing fee while others offer permits for free. Some states require a doctor's prescription along with an application. We've compiled the information you need to obtain a handicap parking permit in your state. Check below for your state's requirements. Each will explain who is eligible, the steps you need to take, and any costs that might be involved. Permits are either temporary or permanent. Temporary permits may be used for someone who just had surgery or who has a broken leg or hip, for instance. These will have an expiration date, typically six months or so. Permanent permits are for the long-term. These are good if you have arthritis or other chronic health concerns. Even permanent permits need to be renewed, though it's often every few years. Keep an eye on your expiration dates so you don't forget. In some states, the applications for handicap parking permits can be downloaded online. Others require you to go to your local DMV office. If you need more information, ask at your doctor's office. They should be able to direct you to the proper state or county office that handles permits.